Tis the season to sparkle!! So party season is pretty much here already and its not even December!! 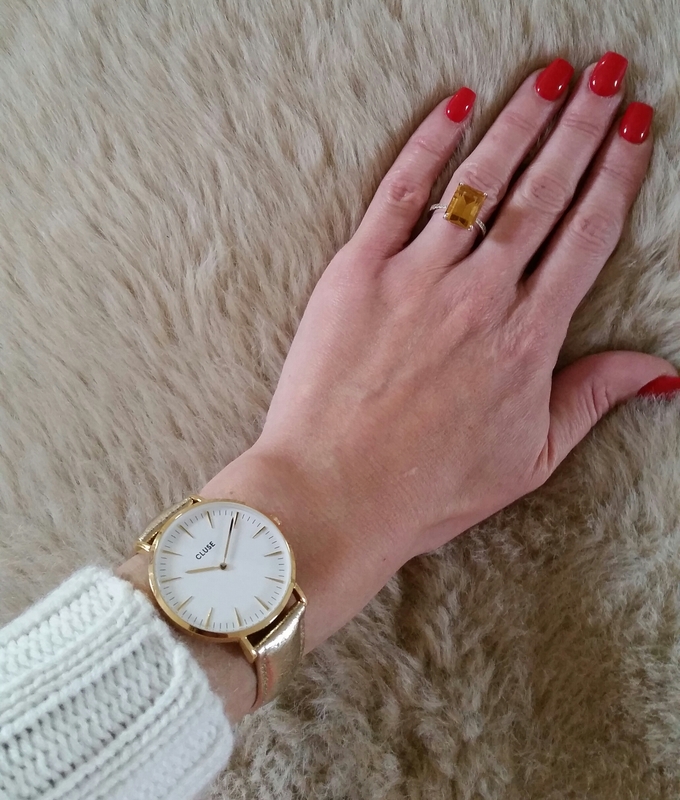 So much sparkle in the shops and here are some of my favourites for the festive season! This gold jumper is €60 from Oasis. 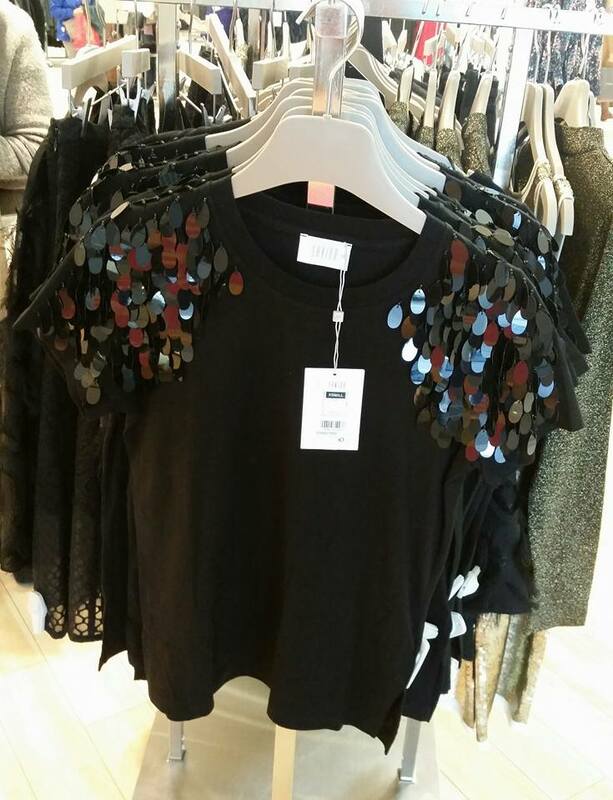 This black t-shirt with sequin sleeves is €25 from Savida at Dunnes. Fab with leather skirt or trousers. Even gorgeous with black skinny jeans and heels. Easy. 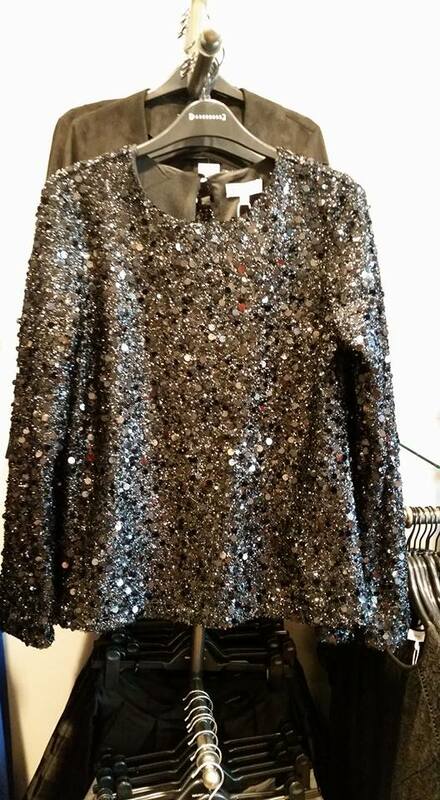 This full on sequin black top is from Warehouse for €46 and Oasis have similar for €50 (I got it) and there’s a skirt to match – so it looks like a dress when worn together – clever. 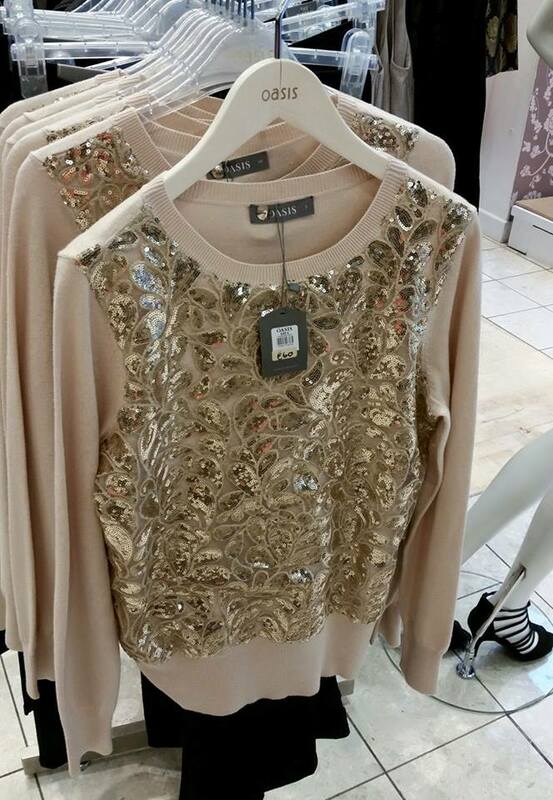 This subtle sparkly top from Savida at Dunnes is €40 and is very Balmain-esque 😉 Perfect for understated glam. Morning girls! 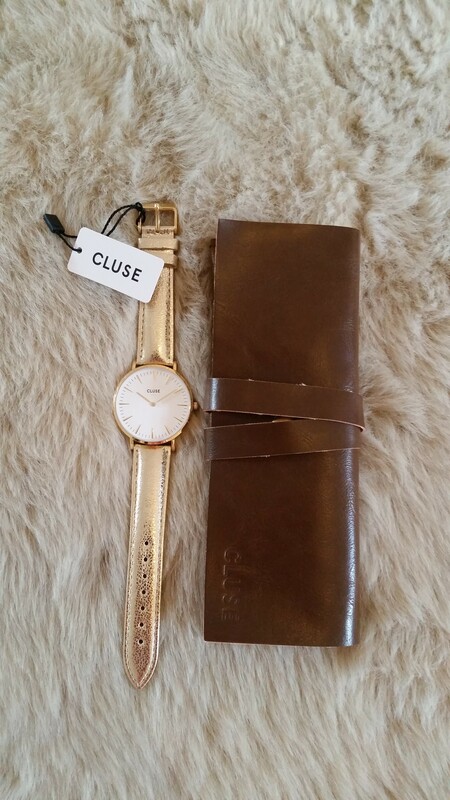 Finally got my hands on a Cluse watch ?. Just love it. From Willow. Comes in beautiful grey too & other options. 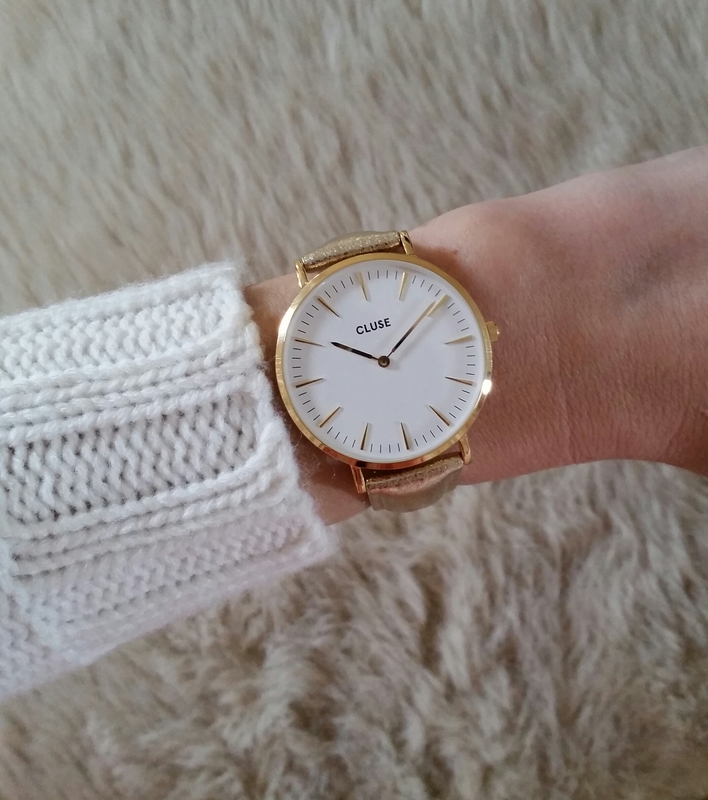 The wallet the watch comes in is just gorgeous too, pretty vintage vibes. €89.95. Nice pressie for someone or for you ?. OK leopard print splits the vote. A lot think….cheap, nasty, Bet Lynch. I think…it depends how you wear it. 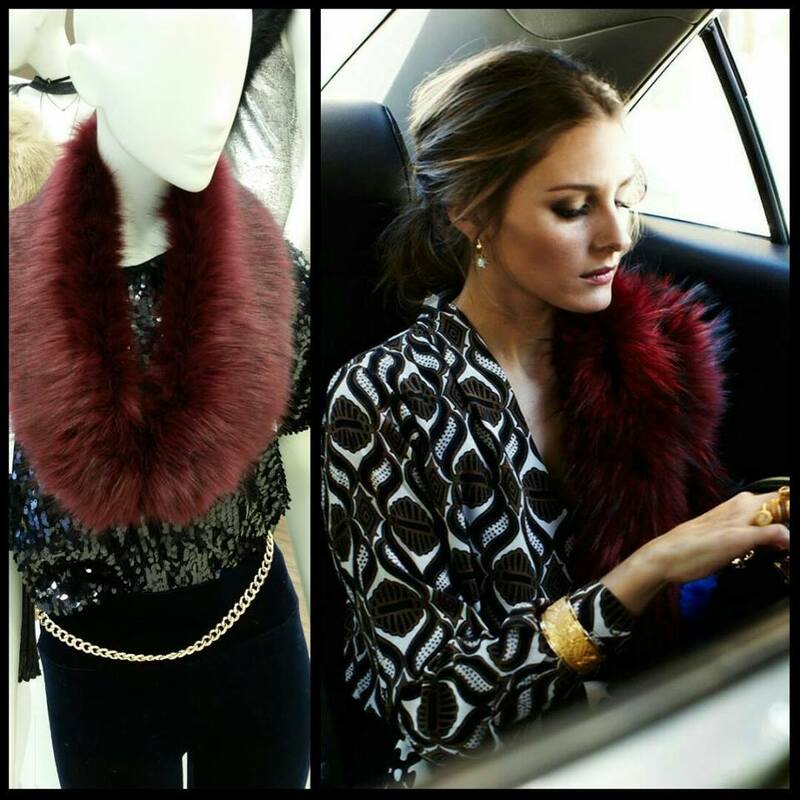 Its easy to add an accessory like a bag, scarf, shoes, for a pop of print. 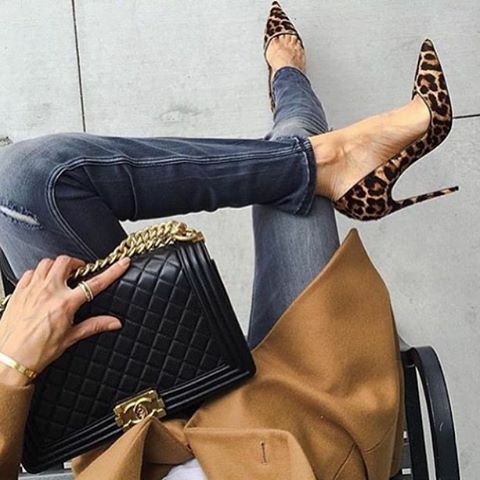 It gets trickier when it comes to a statement coat. I think the key is to keep it classy. Wear all black underneath. 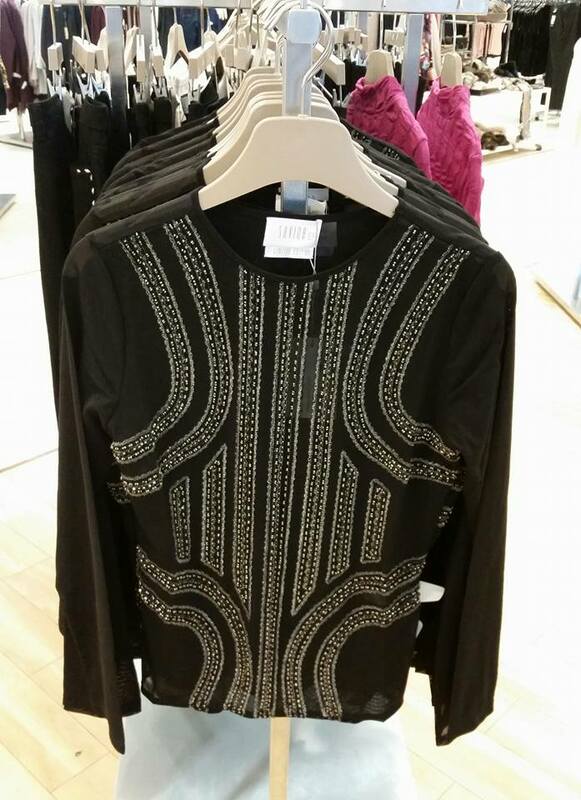 Black leathers or skinnies and a black fine knit jumper or polo – Zara always stock these. Over a black dress is another option. Take some inspiration from the fashion goddess Kate Moss. Forget Bet Lynch!!! 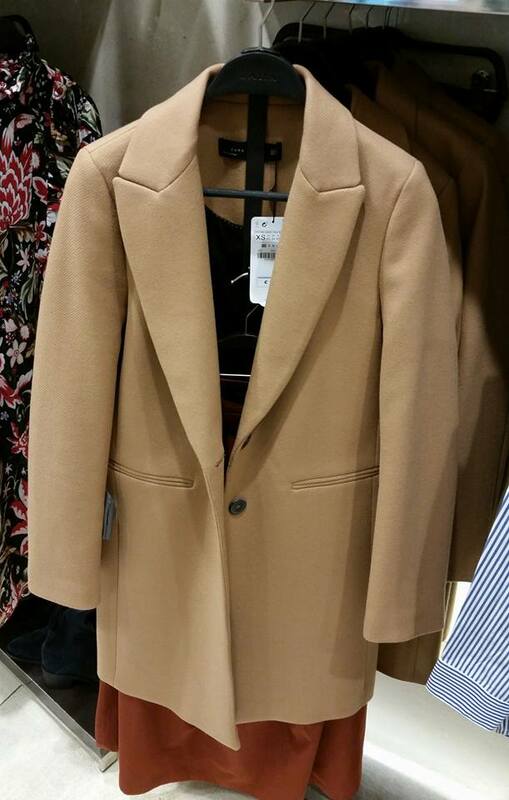 I love this one from Gallery at Dunnes Stores for €60. So girls, as you know from my last blog post, I was given a trial set of Alcon daily disposable contact lenses “DAILIES TOTAL1®” to try out all by myself at home. I am getting on ok. It still takes a bit of getting used to but I am definitely improving. When I wore the lenses the first day at home I couldn’t believe all the extra things I noticed, not necessarily in a good way – let’s just say the first thing I did was clean the kitchen floor – again 😉 I also told my husband he looked more wrinkled – he was delighted. I will have to get used to the HD vision around the house and around people – everyone and everything looks a lot clearer! That was all good. Then Alison asked me to remove both lenses in front of her. I faltered a little under the pressure! At home I am much better and am developing a routine. I put the right lens in first and then the left and I take out the right lens first, then the left. I put my makeup on after I’ve put the lenses in and then I take them out before taking off my makeup. I am still not very fast but am definitely improving. I am also forgetting they are in my eye. 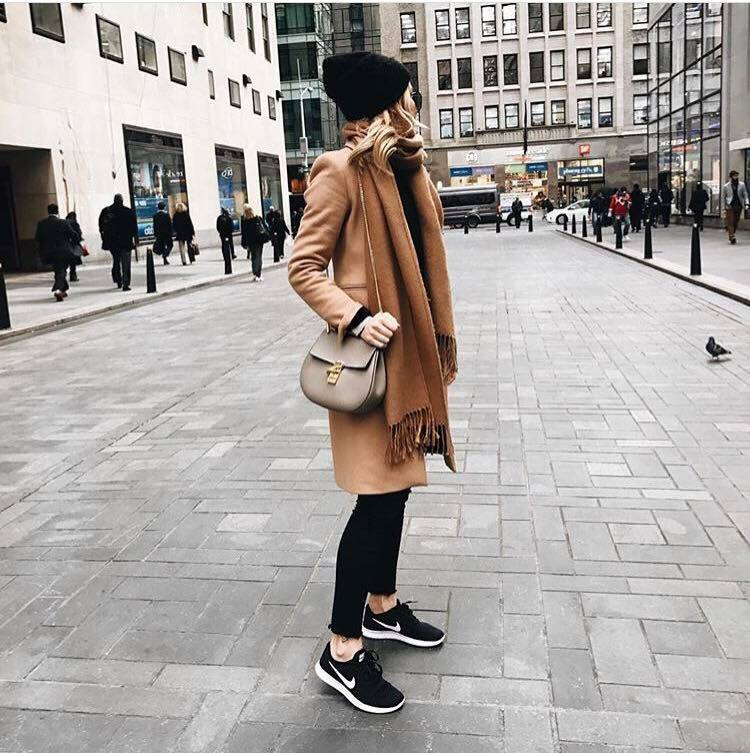 To encourage other people to take a trial of lenses Alcon® are offering you the chance to win one of 4 luxury shopping weekends in Paris with €1200 spending money, one of 5 personal shopping experiences or one of 20 “Love2Shop” vouchers for €300. 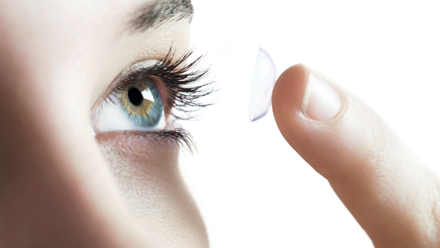 To enter you need to go to http://www.wearlenses.ie & download the “free trial voucher” & follow the instructions.There is a prize draw each month.